Indecent tattoos. These include tattoos or brands that are “grossly offensive to modesty, decency, propriety, or professionalism.” The Army’s regulations do not provide examples of tattoos that would fall under these descriptions. Sexist tattoos. These include tattoos and brands that “advocate a philosophy that degrades or demeans a person based on gender,” according to the regulations. Racist tattoos. Tattoos or brands that “advocate a philosophy that degrades or demeans a person based on race, ethnicity, or national origin” are not allowed. 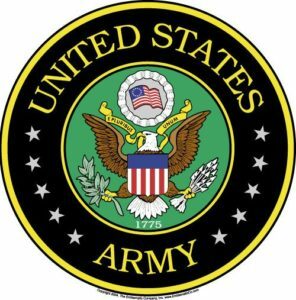 Generally, the Army’s tattoo policy allows most tattoos (with the exception of those that fall into the “offensive” categories above) but forbids most of those that would be visible in uniform. The Army regulations do, however, allow one ring tattoo on each hand, although it must not extend beyond where a ring naturally would rest on your finger (between the lowest knuckle and your hand). The Army doesn’t allow recruits or soldiers to cover disallowed tattoos with bandages or makeup. Before soldiers decide to obtain a new tattoo, the regulations advise speaking with a unit leader to make sure the tattoo that’s envisioned will abide by Army rules. If a soldier is found to have a tattoo that breaks the rules, the commander is instructed to take several steps, beginning with counseling of the soldier about the tattoo rules. If a soldier with a disallowed tattoo or brand refuses to have it removed, then the commander is instructed to initiate administrative separation proceedings.